If you're someone who shows symptoms like drooling over a piping hot cup of chai, and if you trust it to resolve all the issues of your life, you're a chai-vinist, my friend. And we have a perfect fix for you. Shree Gangour Sweets, an authentic Rajasthani sweet shop at Chowpatty, has been selling a healthy cup of Pushkari Chai, for you to get a flavour of Rajasthan. 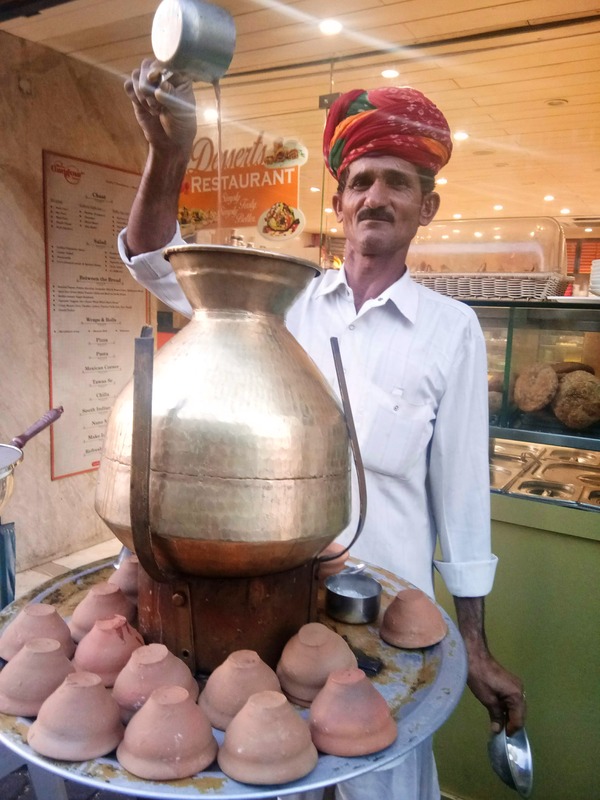 Shambhu Singh Ji, a 38-year-old Rajasthani man, sits outside the sweet shop, and mixes your normal milk tea with 'Jadi booti' and Gando Bawal's bark. If you're wondering what the latter is, Gando is a tree usually found in certain areas of Rajasthan and Gujarat. It is addressed as a 'Bawal' because it ends up randomly growing anywhere. However, its bark has nutritional values. It is scraped from the tree and put right into your tea. Interesting, isn't it? This is sold in an earthen cup for INR 42, and we think it is worth it. Because this is probably the ONLY place in the city, whipping up flavours of Pushkar for you in a cup. And if this already interests you, you know where to go now. Happy tea-ing to you! We wish they had more branches though!